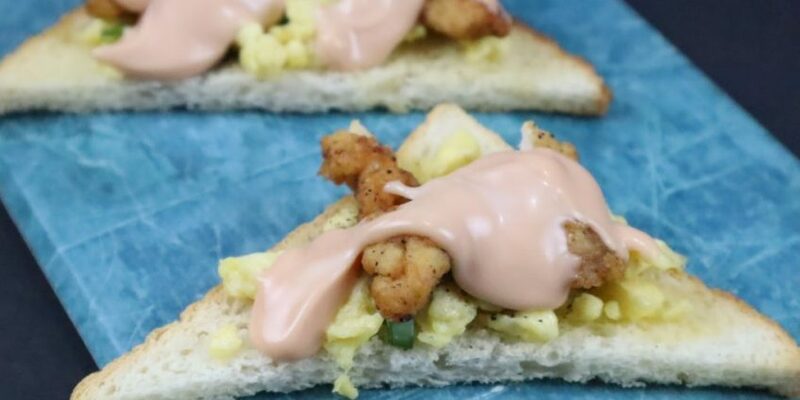 Egg Stumbler is the easiest breakfast, snack, and lunch box recipe that you must try. 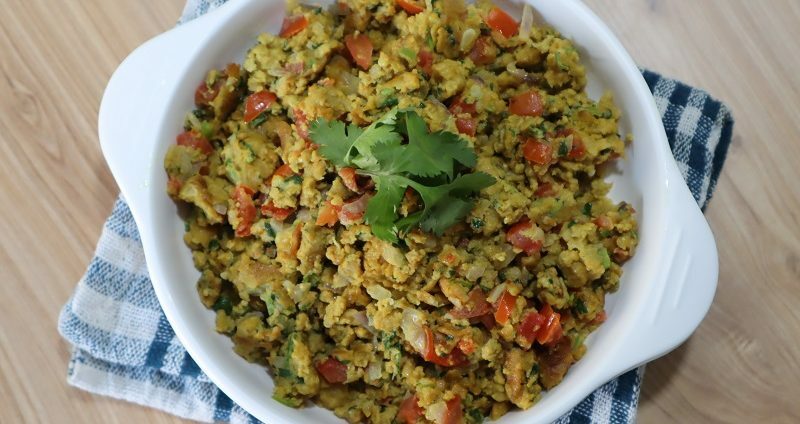 Just a new makeover to your regular scrambled egg. If you are an egg lover this can be a tasty treat to your taste buds. 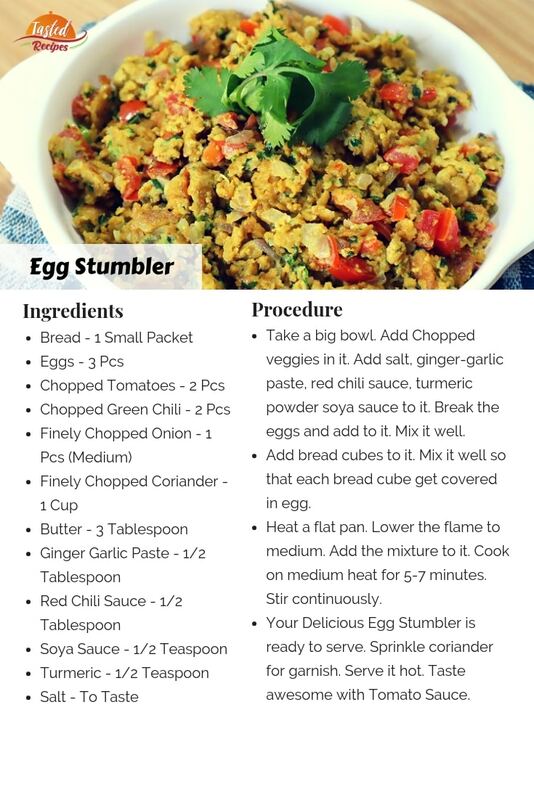 Egg Stumbler requires less than 15 minutes to make this and made with all at home ingredients like eggs, veggies, and bread. That’s it. It can be a great option for munching, mid-day meals, office lunch, and your kid’s lunch box. 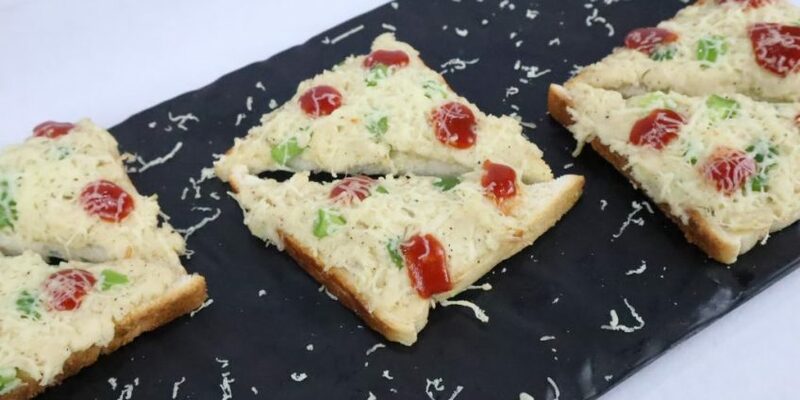 My 12-year-old son likes it bcoz can be eaten with a fork, hands don’t get dirty and not extra efforts to tear the bread, fill it with egg and then eat. I was surprised to see how today’s generation thinks and saves time in everything. 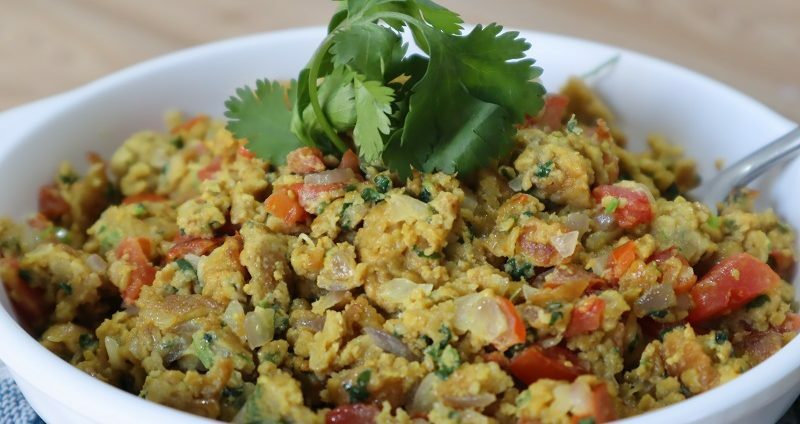 With Indian roots, eggs have always been in our diet. I can make about 25 different breakfast items with eggs. Egg with anything is really great. As it is also used a bonding agent. You can make it in many ways. As we are dedicated to providing some quick, easy, healthy recipes for you. Thus, I have chosen the easiest way to make it. Just 3 steps and you are done. 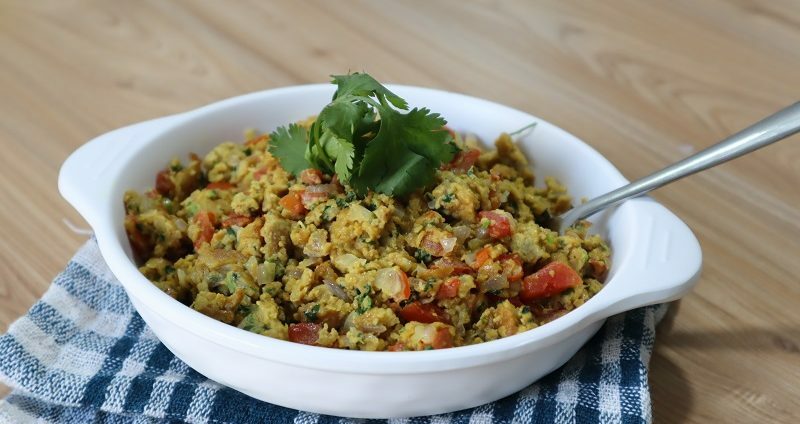 Cut bread into small cubes, mix eggs and veggies with bread and finally cook with butter. Your Butterly EggStumbler is ready. Isn’t that great? (Especially for Some “Aalsi” people like me). You can make it with slightly toasted bread for having a crispy taste. Take a big bowl. Add Chopped veggies in it. Add salt, ginger-garlic paste, red chili sauce, turmeric powder soya sauce to it. Break the eggs and add to it. Mix it well. Add bread cubes to it. Mix it well so that each bread cube get covered in egg. Heat a flat pan. Lower the flame to medium. Add the mixture to it. Cook on medium heat for 5-7 minutes. Stir continuously. Your Delicious Egg Stumbler is ready to serve. Sprinkle coriander for garnish. Serve it hot. Taste awesome with Tomato Sauce.